Bollywood star Alia Bhatt unveiled the first song from her upcoming film ‘Kalank’, called ‘Ghar More Pardesiya’. Featuring Bhatt, Madhuri Dixit-Nene and Varun Dhawan, the song is performed by Shreya Ghoshal and Vaishali Mhade. 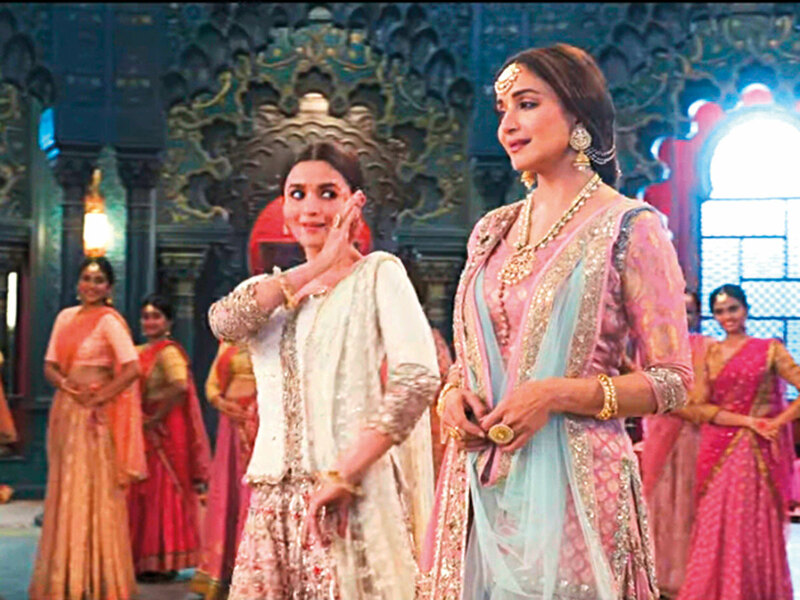 Bhatt is the star of the video, however, and is seen dancing next to Dixit-Nene, echoing iconic scenes from the 2002 Sanjay Leela Bhansali film ‘Devdas’ starring Aishwarya Rai Bachchan and Dixit-Nene. Bhatt had earlier said how nervous she was about the song’s release. ‘Kalank’, directed by Abhishek Varman, is produced by Karan Johar, and also stars Sanjay Dutt, Sonakshi Sinha and Aditya Roy Kapur. It’s set for an April 17 release in India.